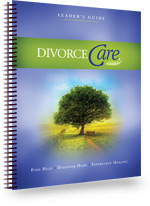 The DivorceCare kit equips you with everything you need to start and grow a DivorceCare program at your church. Thirteen video seminars, averaging 40 minutes in length, on topics important to someone experiencing separation or divorce. These videos feature top Christian experts on divorce recovery topics, scripted drama segments illustrating the concepts, and personal testimonies from people who’ve experienced divorce or separation. Read about the 13 session topics and watch a video excerpt. We provide a three-part Leader Training Video to train and equip your leaders. A note-taking outline and discussion questions for this video are included in the Leader’s Guide. Find out more about the Leader Training Video. Attractive, professionally designed brochures. Shipped flat in packages of 100 with a space to insert information about your group. Colorful posters sized for display on bulletin boards. 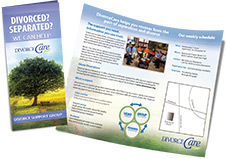 Shipped 100 posters per package (two per 8½ x 11 page), each poster contains a space for publicizing the specifics of your DivorceCare group. Short, powerful video promos to spread the word about DivorceCare in worship services, Sunday school classes, small groups, and ministry fairs or tables. 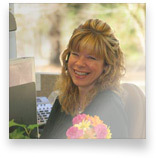 See the DivorceCare promotional videos. Your DivorceCare group gets a free expanded listing on the Find a Group online search engine located on the main DivorceCare website. 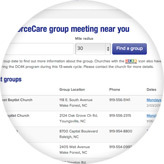 This is a very effective tool in connecting people in your community with your group. 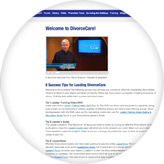 Each member of your DivorceCare team gets free access to special online resources just for leaders. The LeaderZone website features articles, downloadable forms, promotion tools, and many other leader resources. The Leaders’ Forum connects leaders around to world to trade ideas, prayer requests, challenges, and success stories. 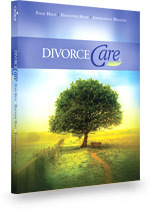 Group leaders and church staff can call or email our DivorceCare ministry coach team for advice. Their assistance is free–there is never a charge! Our staff ministry coaches are seasoned DivorceCare leaders who want your group to grow and succeed. Select a time convenient for you.